When thinking about costumes we don't always think of dressing our pets up but from time to time we do this because well, they so darn cute. We have a Saint Bernard and we have dressed her in pajamas, prom dresses with tiaras, reindeer antlers, santa hats, etc, but never a lion's mane. Even though this doesn't really go with my Saint Bernards coat she was still a good sport in posing for a picture before giving me the sad eyes that she was not up to dressing up on that particular day. 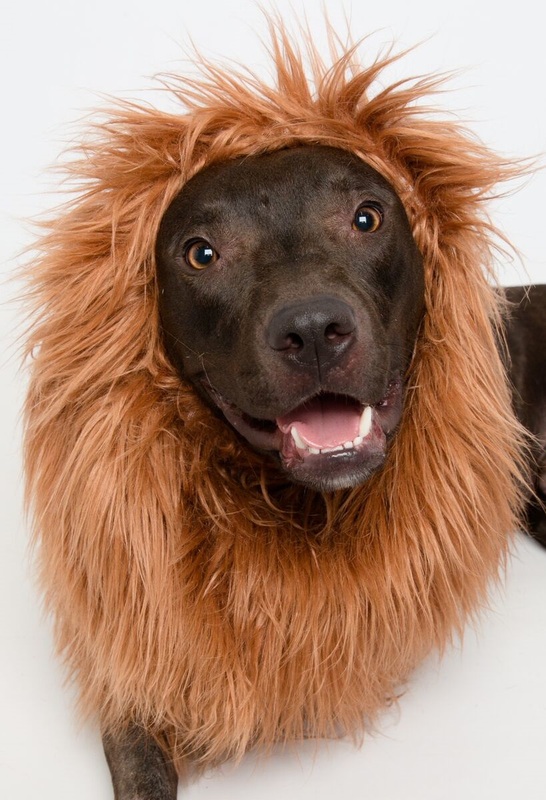 This lion's mane comes with a elastic band type material inside to help hold the mane in place on your dog's head. You can find the Lion Mane Wig on Amazon. -Premium quality materials used to turn that WOOF into a ROAR!